Do you get worried over the cost of purchasing Oki MB-260 toner? We've got a low price guarantee which means our toner for the Oki MB260 printer are very inexpensive. You can forget about paying high-street pricing because we will give you a less pricey solution. We believe you shouldn't need to compromise on build quality to buy a reasonably priced Oki MB260 printer cartridge. Therefore, we give you our full guarantee so there isn't a reason to be left disappointed. We'll give you a complete refund if your Oki MB260 cartridge has not been able to meet your expectations. Buy today with Cartridge Save and save money. 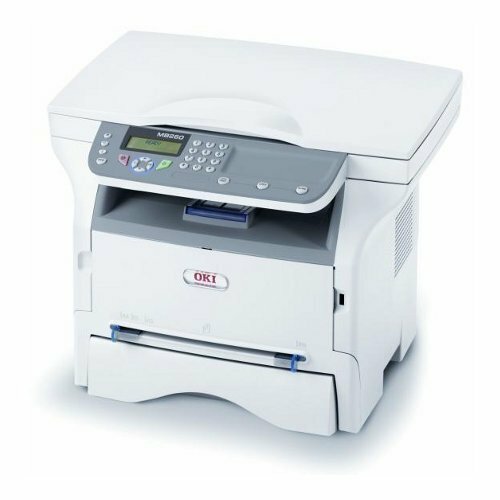 Small offices or home offices needing a handy and robust printer should get the Oki MB260 MFP printer. Aside from delivering good quality monochrome prints, the Oki MB260 multifunction printer is also capable of scanning and copying. It has a monthly duty cycle of 1,500 to 2,000 pages; print and copy resolution can go as high as 600 x 600 dpi while scan resolution can go as high as 600 x 2400 dpi. The Oki MB260 only has a manual duplexer and only offers standard USB 2.0 for connectivity (optional Wi-Fi is available). The MB260 monochrome laser printer comes in a white enclosure; a flatbed scanner is on top while the paper trays are at the bottom. The control panel in the middle has a numeric keypad, LCD display and function buttons. The Oki MB260 printer can handle 250 sheets at a time and its output tray can handle 50 sheets. This unit is great for small offices as it measures only 344 x 447 x 386 mm and weighs 11.6 kg. This compact 3-in-1 unit is robust and delivers good quality output from scans and copies to texts and greyscale graphic prints. The Oki MB260 all-in-one laser printer is compatible with Macintosh, Windows, and Linux operating systems plus this reliable unit is easy to use and install. The Oki MB-260 multifunction printer is capable of using black Oki MB260 cartridges with a high capacity of 5,500 pages for increasing productivity and efficiency within the workplace. Unlike other multifunction printers, the Oki MB260 mono laser printer does not have fax capabilities. There are also other models that already have networking options; only Wi-Fi option is offered but no Ethernet with the MB260 laser printer.